1260.00 sqft. - 8000.00 sqft. Dasnac Designarch The Jewel is situated away from the hustle and bustle of city life. It is built amidst lush green landscapes with all the modern age amenities and facilities. This residential complex allows you to enjoy a blend of luxury and comfort in a smooth ambience. The project offers you the pleasure of being close to mother nature. 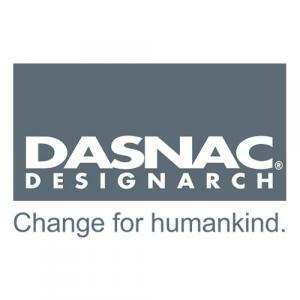 Dasnac Designarch The Jewel is characterized by impressive architecture and state-of-the-art edifice that immensely helps in improving the quality of life. The creators of this magnanimous project have made sure that comfort and convenience are not compromised with while incorporating delicate luxury details. It can be rightfully termed as a new-age palace for modern monarchs who are destined to spend their lives in richness and opulence. *All branded fittings, Green Building Gold rated. 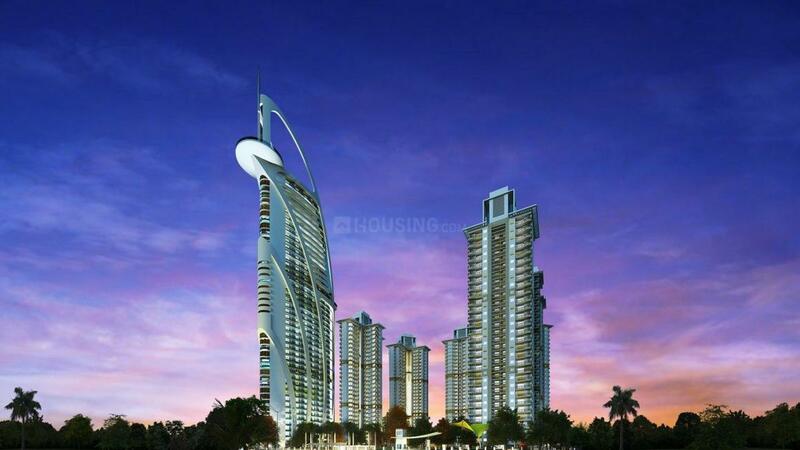 *The new tower has already been launched and construction started so there is an excellent investment opportunity. We would appreciate if you could spend some time to visit our project, we may provide CAB facility along with our Sales Executive with prior appointment. TATA/ JSW/ Birla/ L&T/ Godrej/ JK / Grohe/ RAK/ American Standard/ LG/ IPSA / Saint Gobain/ Modi Guard/ Kajaria/ Pidilite/ Fosroc/ Finolex/ ABB/ Franke/ Masonite/ OTIS/ Ariston/ Astral/ Daikin/ Haier/ Kirloskar/ Philips/Supreme/ Rathi/ Unistone/ Polycab/ Bonton/ Nakoda/ Greatwhite/ Lubi, Agni, Zoloto etc. These specifications are subject to changes if required by any authority/ consultant or due to any unforeseen circumstances ● Any application made for booking shall be deemed as consent of the applicant for changes in specifications as considered necessary by the Company and document to this effect, if any, shall be signed by the applicant ● Brands listed above are an indication and will be subject to changes at sole discretion of the Company ● Defect liability of the Company for various project components shall ultimately be subject to terms/conditions of suppliers/contractors for the respective components ● These specifications are valid till 01.01.2016 and may not be used for promotion by any person unless authorized in writing by the Company. 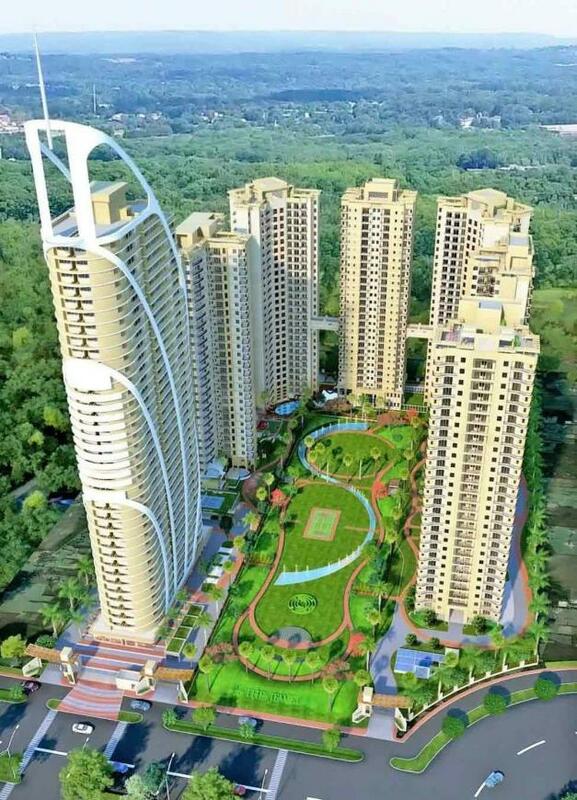 Our project" The Jewel of Noida" is at the best location, opposite sector 50 where the rates are upto Rs.10,000-12,000 per sq.ft. giving you 100% appreciation potential in future, Now delivery 5 towers has already been started, CC/OC obtained. Nearby amenities such as metro station, Medanta Hospital (Proposed) and also 1 Km Long shopping mall are available at stone throw distance. Being a part of the Noida extension in the Greater Noida region, Sector 75 is flanked by the Hindon and Yamuna River on either side. The Delhi Noida Direct flyway and the Noida – Greater Noida Highway has already made the sector a well communicated region of NCR. The proposed metro route of Greater Noida west and the Faridabad – Ghaziabad – Noida Corridor is supposed to pass close to the Sector 75, making it even more freely accessible. The Kalindi Bird Sanctuary is close by. Fortis Hospital, Shivalik Medical Center and Sumitra Hospital are located close by. The sector has some of the finest educational institutes like Kothari International School, Global Indian International School, Sapphire International School, Amity University, Jaypee Institute of Information Technology and FDDI Noida. It is also the hub of major offices like the LIC regional office, HCL, International Institute for System Information and Audit and the Bharat Petroleum Corporation Limited. Shoprix Mall, Spice World Mall, The Great India Place Mall and DLF Mall are located here.